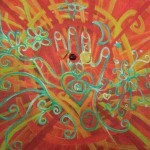 I create various home-made items to enhance your relaxation and healing journey at home. Herbal eye pillows come in various colours, and with various fragrant herbal mix and linseed fillings. They are used over the eyes during relaxation sessions and even during treatments if required. Take one to work with you and revive during a short break, or have one beside your pillow in bed at night, to encourage restful sleep. These home-made eye pillows make beautiful, thoughtful gifts. 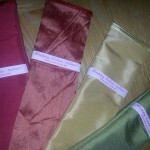 To see all the colours and buy your own bespoke herbal eye pillow, click here. Eco- soya wax candles are non- carcinogenic and scented with 100% essential oils and contain herbs and crystal beads. The intention for each candle is based on the common properties of the recipe. Soya wax burns very slowly so these candles are great value for money. There are also other beautiful candles made in interesting jars. You can also have the option to provide your own containers. 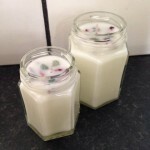 To see the range and buy your own eco- soya wax candles, click here. Podpora are cushions with beautiful, unique, home-made covers made from limited edition fabric from the USA. The word is a Slovak word meaning ‘support’, physically, mentally, emotionally and spiritually. Cushion pads are 100% polyester. Some cushion covers are enhanced with crystal beads for a special touch. To see more designs and buy your own Podpora, click here.